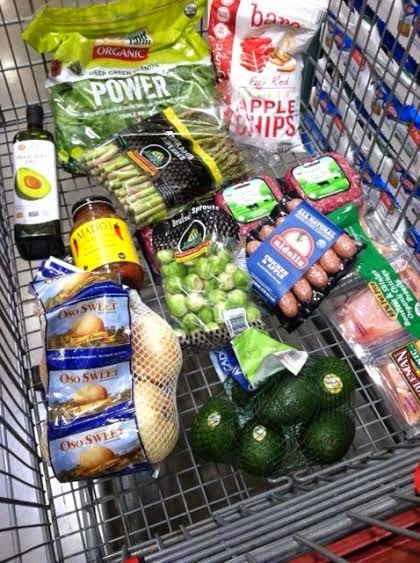 Love shopping at COSTCO for all my Paleo needs. I love to stock up on meat, avocado oil, and bulk veggies there. I absolutely love that COSTCO has more and more organic and NON-GMO food. This something I always look for while shopping. Sometimes I cannot find organic options on veggies, but I try to get everything I can organic. I am trying to keep my grocery budget around $220 every two weeks. This does not include household items. This shopping trip was $107! Not bad for all this food!! Also, everything pictured below is Whole30 approved!